We're delighted to welcome back Front Up Rugby as sponsors of our latest "unriggable raffle" competition. This week there are actually TWO prizes on offer - each a choice of garment from their range of "Irish rugby fan merchandising options". One, of course, will go to the winner of the raffle, while everyone who enters on Thursday will be in with a chance of winning the other. Simple! 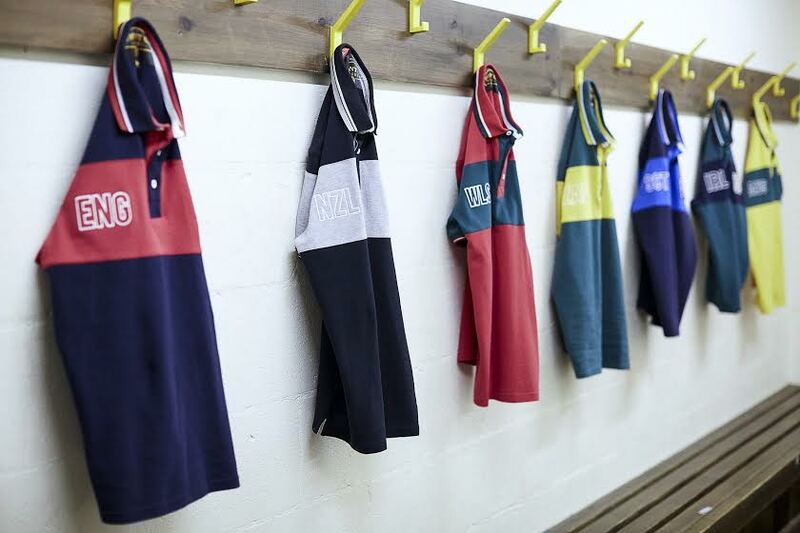 Front Up is a British, rugby inspired fashion label for men. – combining casual wardrobe staples with our love for sport. Our British sporting aesthetic makes our garments ideal for comfortable, cool off-duty separates. Featuring tongue in cheek graphic print tees, breathable cotton polos & brushed peached cotton hoodies & rugby shirts – whether you’re updating your weekend wardrobe or upgrading your training there’s no excuse to get stuck in. Established in the founders back bedroom a few years back Front Up has grown to be one of the most exciting new clothing labels on the UK high street today. ** = Everyone who enters during Friday's window within 3 hours of it posting will be eligible for the 2nd prize on offer. So even if you see the 10 grid spots are filled it's still worth your while to have a go!!! The rugby match which will provide the winning square for this competition is Ireland's Rugby World Cup clash with Italy on Sunday, October 4, 2015.